Fans will finally get to meet Lucasfilm’s newest heroic squad when Star Wars Resistance makes its one-hour series premiere with “The Recruit” on Sunday, October 7 at 10 p.m. EDT on Disney Channel. The series follows the adventures of Kazuda “Kaz” Xiono (voiced by Christopher Sean), a young pilot recruited by the Resistance to spy on the growing threat of the First Order. 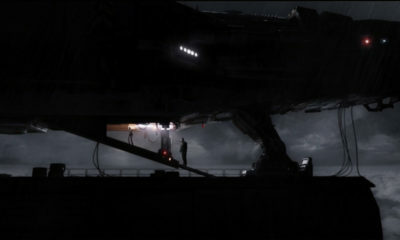 In the premiere episode, Poe Dameron (Oscar Isaac) and BB-8 assign Kaz to an undercover mission on the Colossus, a massive aircraft refueling platform on an outer rim water planet. October will also, of course, offer up plenty of light-hearted, spooky fun with your favorite Disney TV animation stars. Special Halloween episodes of Vampirina, Mickey and the Roadster Racers, Muppet Babies, Fancy Nancy, Big Hero 6 The Series, Big City Greens and DuckTales as well as live-action faves premiere throughout the month across Disney Channel, Disney Junior and Disney XD. 10:30 a.m. EDT [Disney Channel] Vampirina “Hauntleyween/Frankenflower” Vampirina and her family invite their Transylvanian friends to celebrate Halloween in Pennsylvania. / Vee comes up with an invention to bring a flower back to life for her school’s inventor fair. 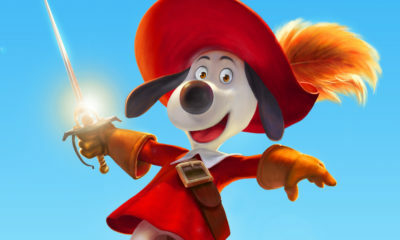 9:30 a.m. EDT [Disney Channel] Mickey and the Roadster Racers “Goof Mansion/A Doozy Night of Mystery” Goofy and the gang have to spend a night in Uncle Goof’s haunted mansion in order for Goofy to inherit it. / When Mr. Doozy invites everyone to his hotel for a dinner party, a family heirloom goes missing. Fred Willard (Modern Family) guest stars as Mr. Doozy. 10:30 a.m. EDT [Disney Channel] Muppet Babies “Happy Hallowocka!/The Teeth Chattering Tale of the Haunted Pancakes” It’s Halloween time and every time Fozzie tries to be spooky he ends up doing something funny that makes the other Muppet Babies laugh instead. / After Kermit refuses to try Miss Nanny’s special “boo-berry” Halloween pancakes, Summer tells a mysterious tale about haunted pancakes in an attempt to get him to try something new. 11 a.m. EDT [Disney Channel] Fancy Nancy “Nancy’s Costume Clash/Nancy’s Ghostly Halloween” Nancy refuses to go to a Halloween party when she discovers that her costume isn’t original. / On Halloween, Nancy’s imagination runs wild when she mistakes JoJo for a ghost. 7 a.m. EDT [Disney Channel] Big Hero 6 The Series “Obake Yashiki” After Big Hero 6 goes to a haunted house, Hiro keeps seeing his late brother Tadashi around the City. Daniel Henney (Criminal Minds) recurs as Tadashi. 8 a.m. EDT [Disney Channel] Big City Greens ”Blood Moon” On Halloween, a spooky Blood Moon rises and turns the Greens’ farm animals into a horde of zombie-like creatures. Danny Trejo (Spy Kids) returns as Remy’s bodyguard, Vasquez. 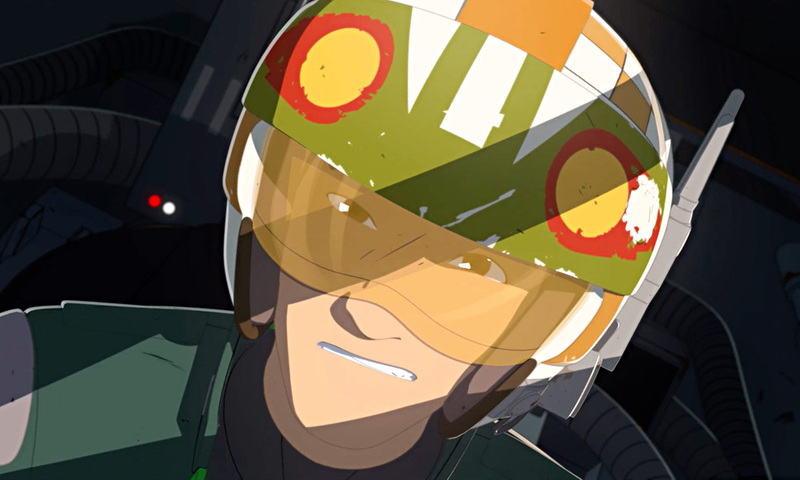 10 p.m. EDT [Disney Channel] Star Wars Resistance “The Recruit” X-wing pilot Kazuda Xiono is recruited for the Resistance, but finds himself in over his head when Poe Dameron assigns him to a remote fueling station to spy on the First Order. Then, after Kaz boasts about being the best pilot around, he is forced to compete in a dangerous sky race. Guest starring is Oscar Isaac (Star Wars: The Last Jedi) as Poe Dameron, Jim Rash (Community) and Bobby Moynihan (DuckTales) as Flix and Orka, respectively. 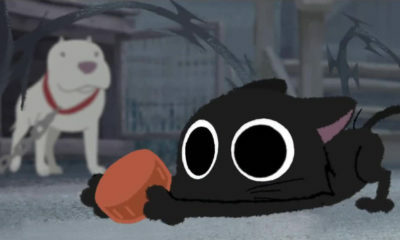 10:30 a.m. EDT [Disney Channel] Puppy Dog Pals “A New Pup in Town/The Last Pup-icorn” Bingo and Rolly meet a new puppy, Keia, who has accidentally run away from her owner Chloe. / When Chloe wishes she could have a unicorn, Bingo, Rolly and Keia set out to find one. 7 a.m. EDT [Disney Channel] Big Hero 6 The Series “Countdown to Catastrophe” Big Hero 6 face their greatest challenge as Obake unleashes his plan on San Fransokyo. 11:30 a.m. EDT [Disney Junior] Elena of Avalor “The Tides of Change” When Elena attempts to get a Unity Pact signed between the humans and the sirenas, Daria enlists the help of evil shape-shifting dolphins called malandros to disrupt the peace. Gina Rodriguez (Jane the Virgin), Edward James Olmos (Battlestar Galactica), Rita Moreno (One Day at a Time), Prince Royce (East Los High) and Rosario Dawson (Luke Cage) return as sirenas Princess Marisa, King Pescoro, Queen Camila, Prince Marzel and Daria, respectively. Steve Buscemi (Monsters, Inc.) and Ralph Garman (Family Guy) guest star as malandros, Saloso and Torpe, respectively. 10 p.m. EDT [Disney Channel] Star Wars Resistance “The Triple Dark” Kaz and BB-8 uncover information on an imminent pirate attack and must find a way to stop it. Gwendoline Christie (Star Wars: The Last Jedi) guest stars as Captain Phasma. 11 a.m. EDT [Disney Channel] Fancy Nancy “Grow Up, JoJo! / Nancy’s Supréme Night Out” Nancy tries to prove that she is grown-up enough to spend an evening with adults. Kal Penn (Designated Survivor) guest stars as Mr. Singh. / Nancy’s favorite waitress Brigitte gives JoJo special attention. Madison Pettis (Five Points) guest stars as Brigitte. 7:30 a.m. EDT [Disney Channel]DuckTales “The Most Dangerous Game … Night” A game night is anything but relaxing as the family faces shrink rays, a barbaric civilization and an unhealthy level of competitiveness. 10 p.m. EDT [Disney Channel] Star Wars Resistance “Fuel for the Fire” Kaz befriends a sky racer named Rucklin who pressures him to take some rare and dangerous hyperfuel hidden in Yeager’s office. Elijah Wood (The Lord of the Rings trilogy) guest stars as Jace Rucklin. 7:30 a.m. EDT [Disney Channel] DuckTales “The Depths of Cousin Fethry!” Huey and Dewey are led on an adventure by their distant Uncle Fethry, who takes them to the depths of Scrooge’s deep‐sea laboratory. Tom Kenny (SpongeBob SquarePants) guest stars as Uncle Fethry. 11:30 a.m. EDT [Disney Junior] Elena of Avalor “The Return of El Capitan” On Día de los Muertos, Elena and her abuelo team up with the spirits of two of his old friends, El Guerrero and El Místico, to complete a mission that they had started many years ago and were not able to complete. Jorge R. Gutiérrez (director, The Book of Life) and Freddy Rodriguez (Bull) guest star as El Guerrero and El Místico, respectively. Prince Royce (East Los High) recurs as Prince Marzel. 10 p.m. EDT [Disney Channel] Star Wars Resistance “The High Tower” The First Order arrives at the platform for mysterious reasons and Kaz and BB-8 are determined to sneak into the tower to find out what they want. Donald Faison (Scrubs) guest stars as Hype Fazon.